‘BeLonG To’ LGBT+ Youth Services held their first-ever Transboree recently. Transgender and non-binary young people often navigate challenging journeys and experiences relating to their bodies. You may have seen this played out in media coverage over the past number of weeks. Recognising this, IndividualiTy, the group for trans and non-binary young people, put their heads together and the result was this special Body Positivity & Gender Expression event. A number of guests offered specialised workshops, kicking off with a vocal therapy workshop from Rachel Moore of Express Your Gender. This was followed by a workshop with Sara Phillips of TENI, who discussed employment and navigating being trans in the workplace. 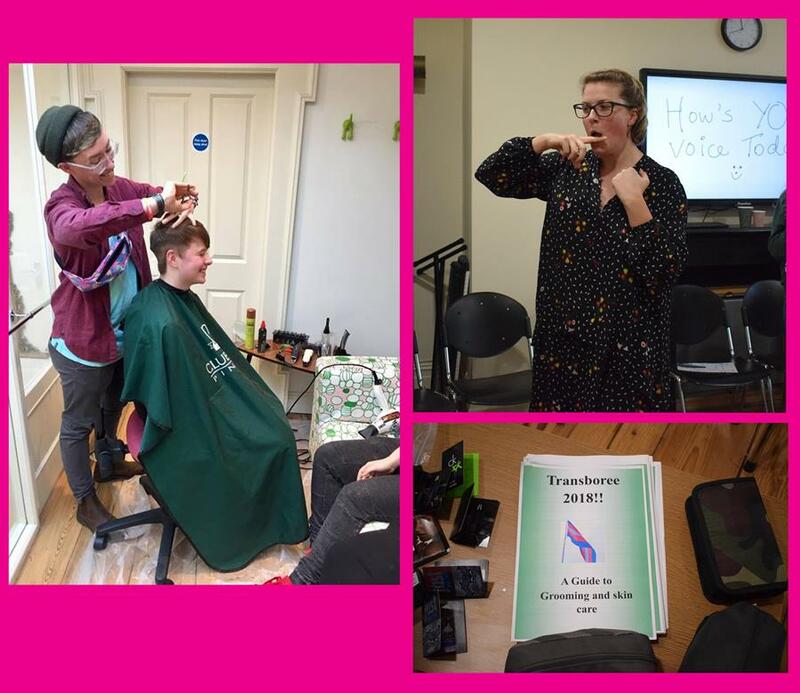 Their expert barber, Casey, set up a salon for the day, the wonderful James MacInerney, of MUA Makeup, held make up tutorials, and IndividualiTy members created a grooming and skin care guide for trans youth. Transboree is what happens when a group of passionate people come together and create a magical space, building confidence and resilience. This was a brilliant day of community activism! Trans and non-binary young people can face stigma and bullying as part of their experience. Transboree offered a space where they felt safe, and were able to let go and have some fun!